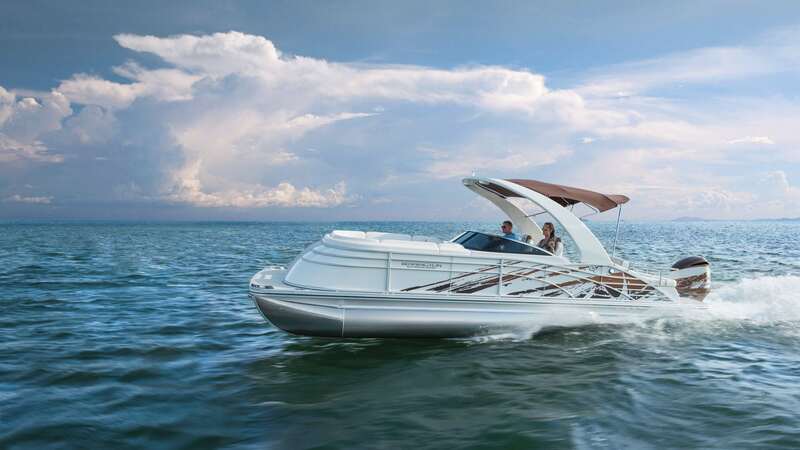 PDB Magazine Reviews the 2018 Bennington Q25 Swingback (25QSBWA) Pontoon Boat. Configured here with the Metallic Firecracker Shatter graphics package with Glacier White interior with Firecracker accents. Learn more about the Q25 Swingback here. Subscribe or read more from Pontoon and Deck Boat Magazine here.